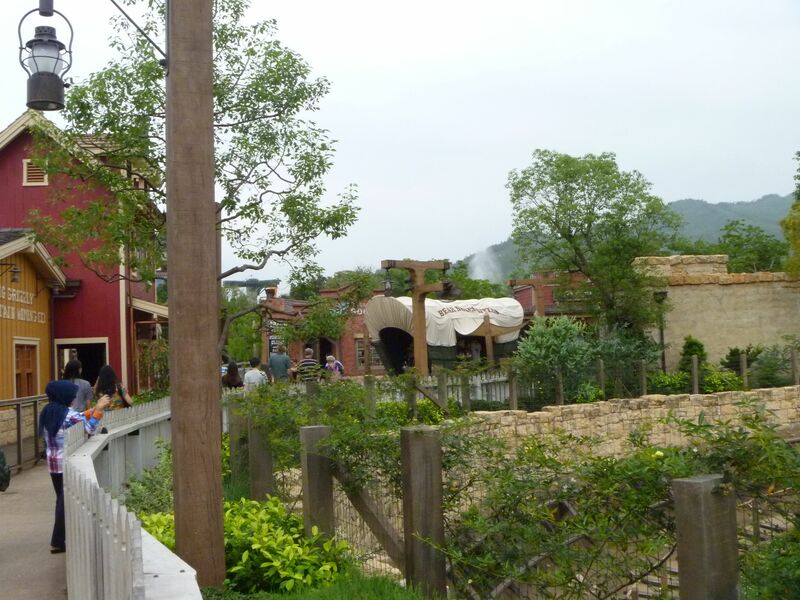 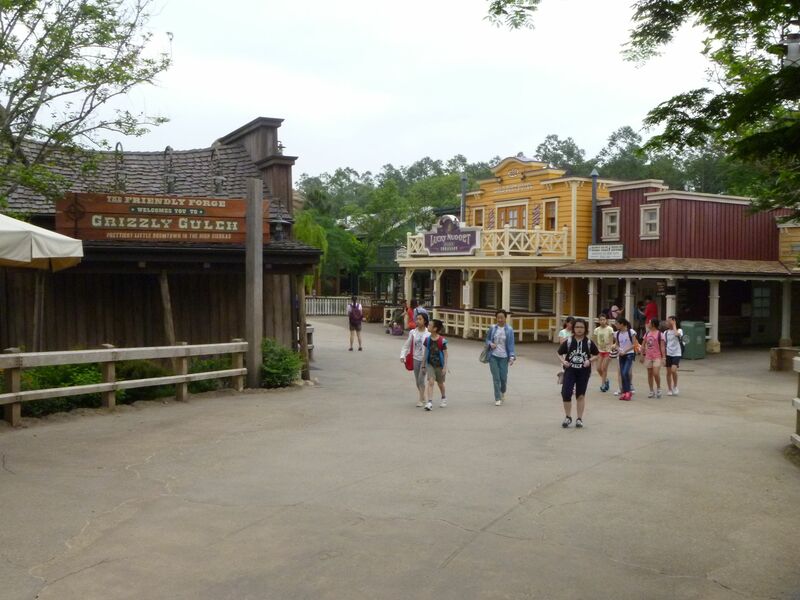 Grizzly Gulch at Hong Kong Disneyland is a little similar in look and feel to Frontierland in the US theme parks. 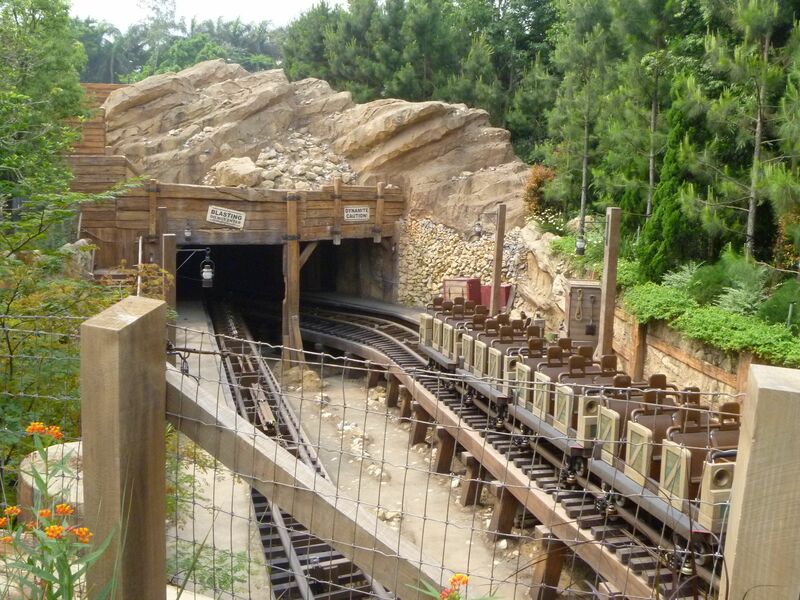 It is made up of a single attraction called Big Grizzly Mountain Runaway Mine Cars which is a bit like Big Thunder Mountain in terms that it’s a runaway mine train. 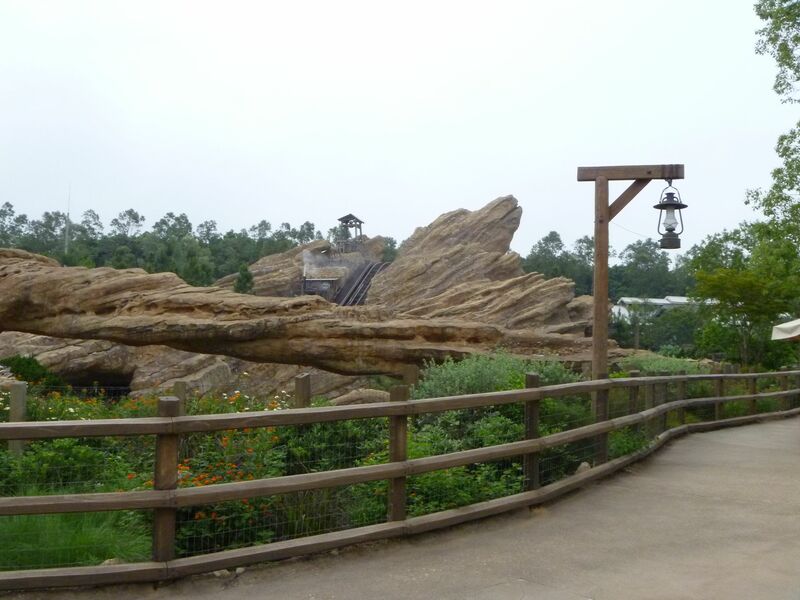 The rock-work around the ride looks like Grizzly Peak from Disney California Adventure. 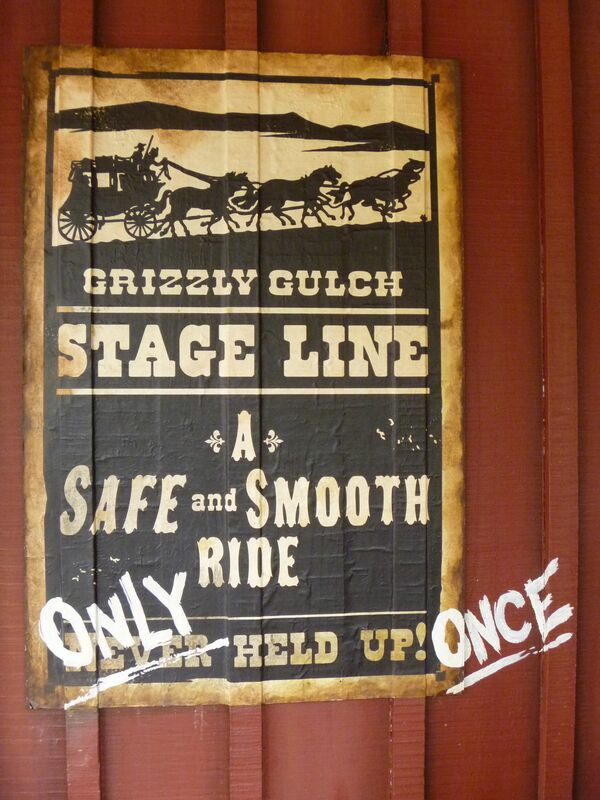 The story for Big Grizzly Mountain Runaway Mine Cars is based around some bears who have got into the mine and are causing havoc. 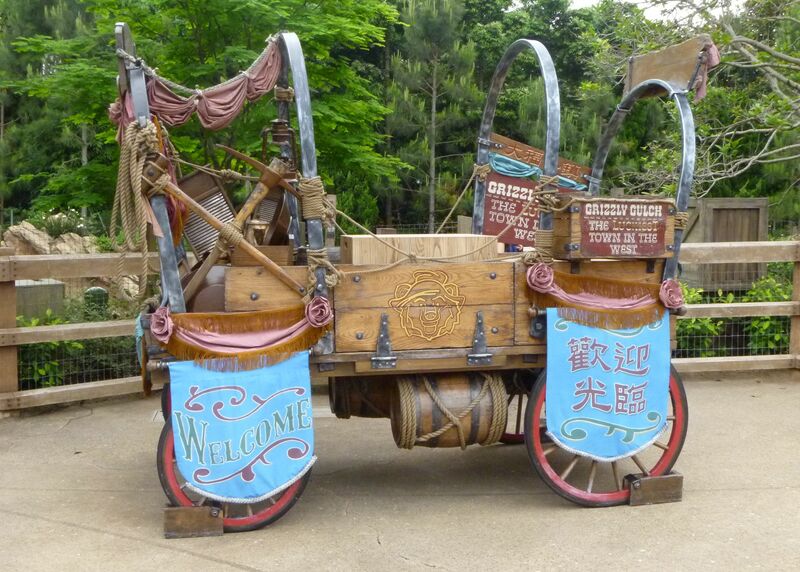 Its classed as one of the thrill rides at Hong Kong Disneyland but it’s really fairly tame. 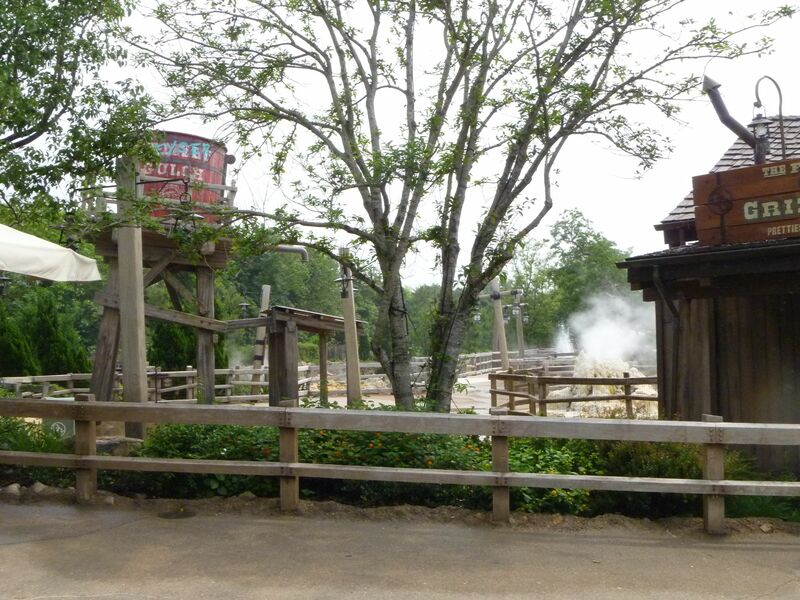 In the Big Grizzly Mountain Runaway Mine Cars area is also a water play area, a snack location, toilets and a store. 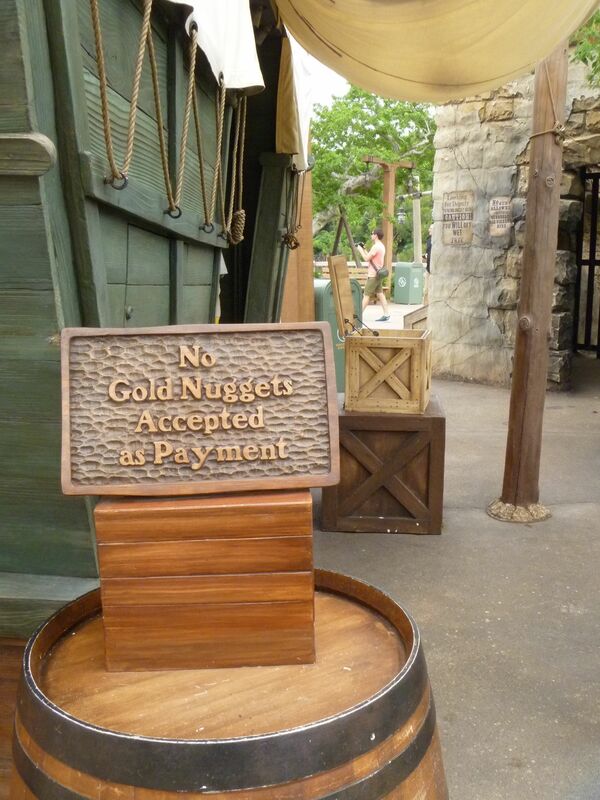 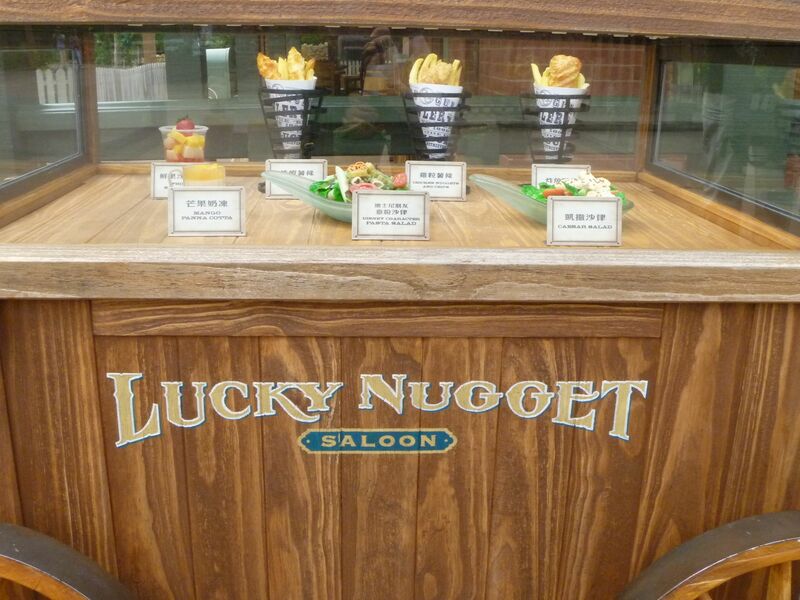 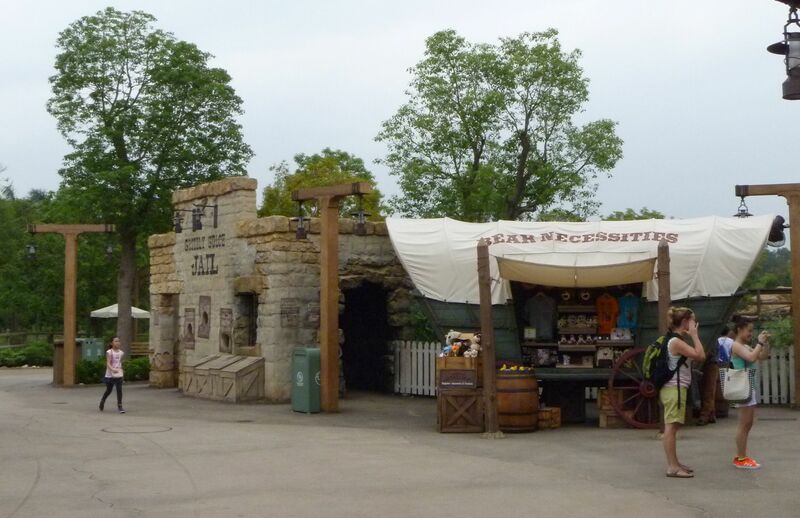 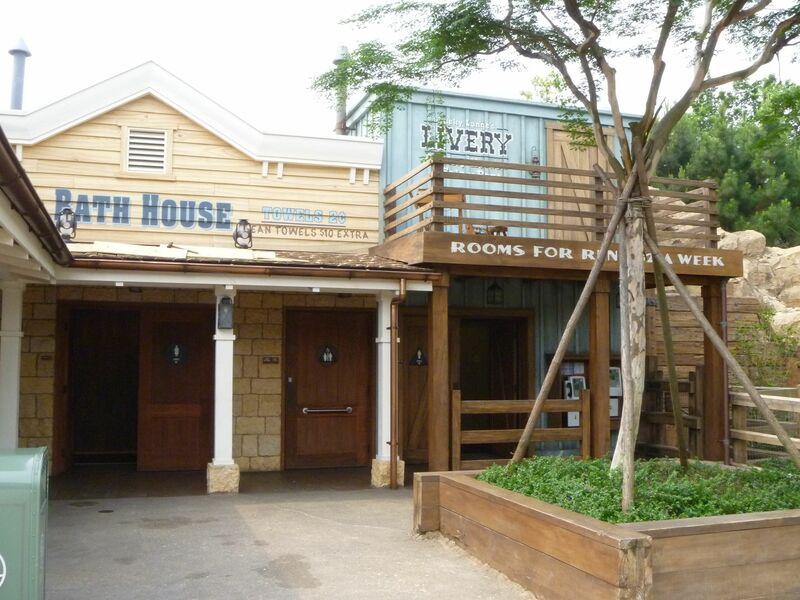 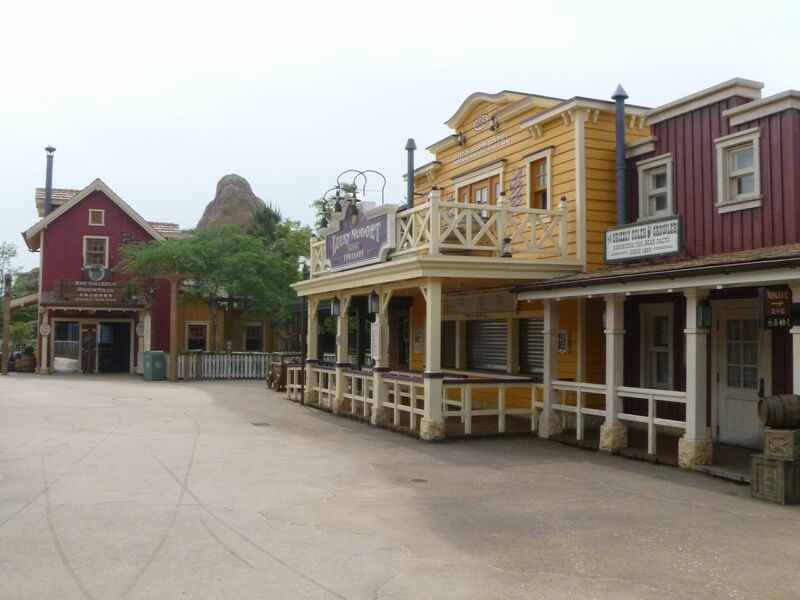 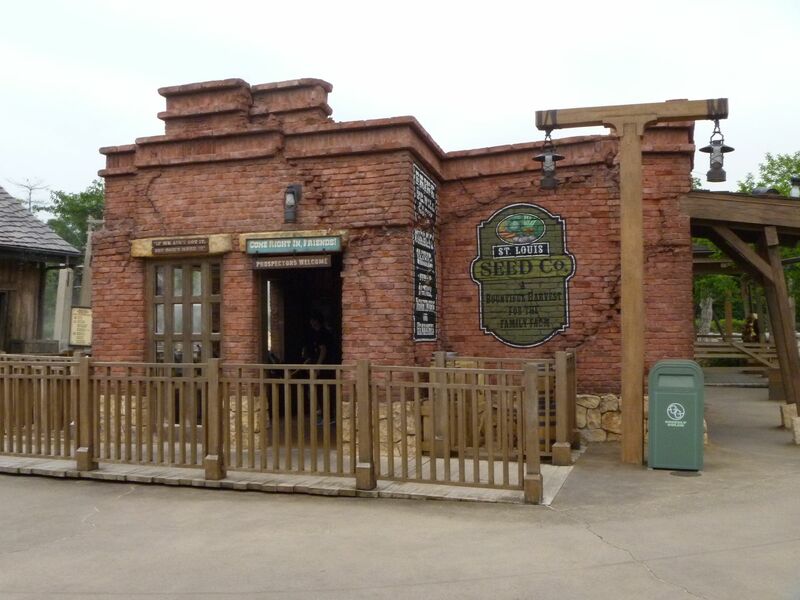 It looks very similar to Frontierland in DLP, actually! 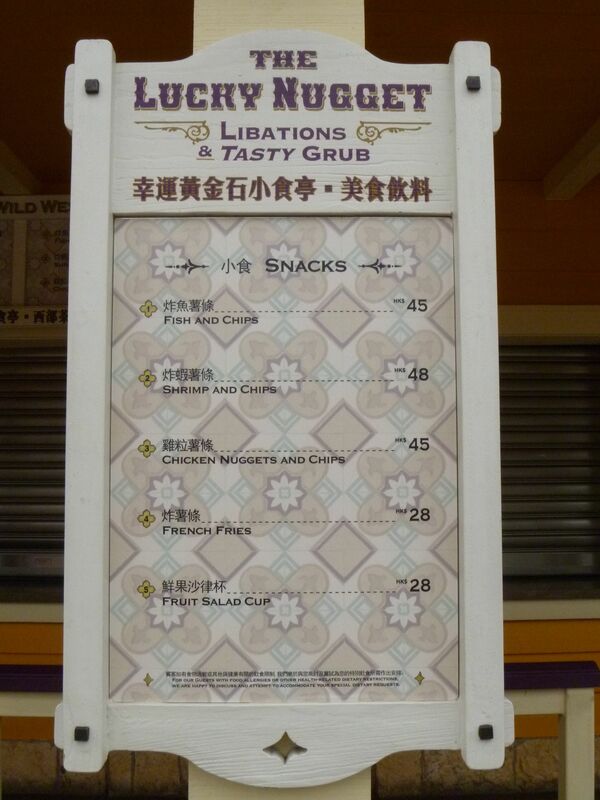 I’m quite surprised..! 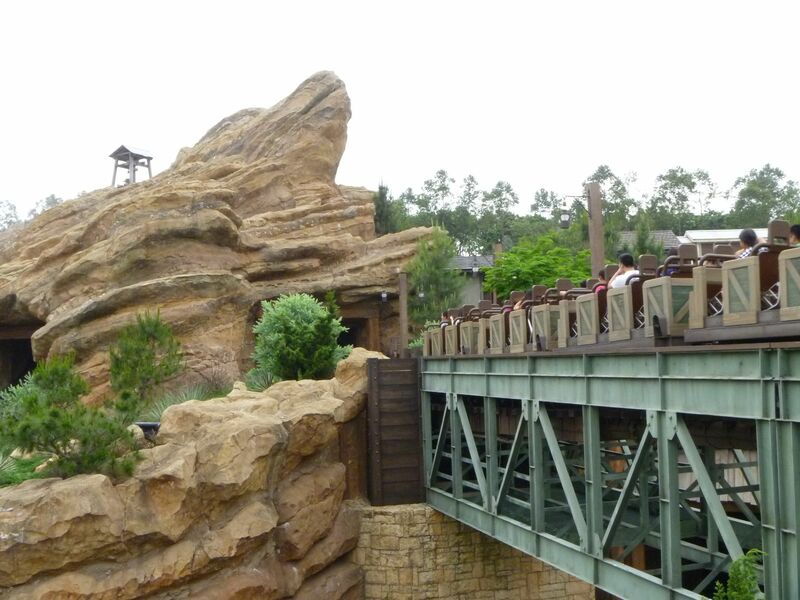 Yes it definitely has that feel but the rock work looks more like Grizzly River Run at California Adventure.